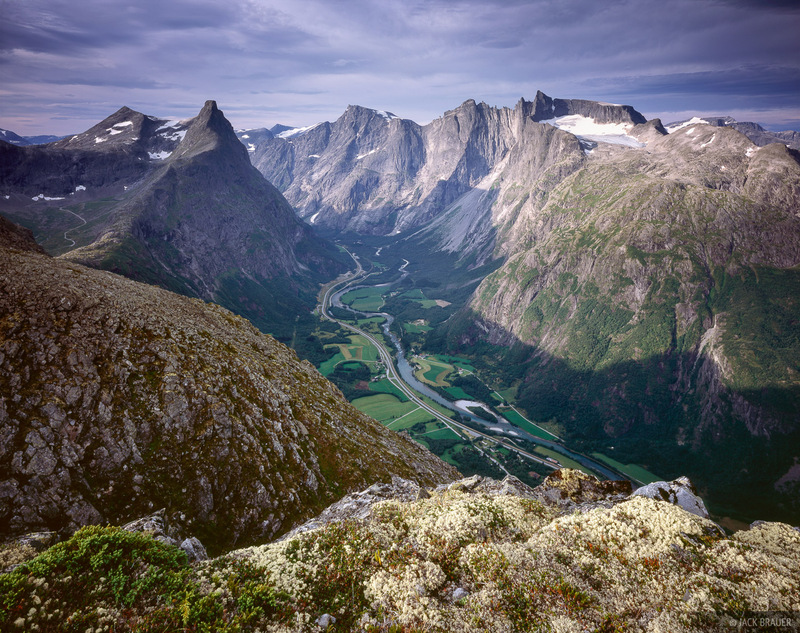 The sheer walls of Romsdalshornet (left) and Trolltindan (right) both rise 1500m (5000 ft.) from the Romsdalen valley. Visible here as the long shadow on Trolltindan is the Trollveggen, the tallest vertical mountain wall in Europe. Photo © copyright by Jack Brauer.